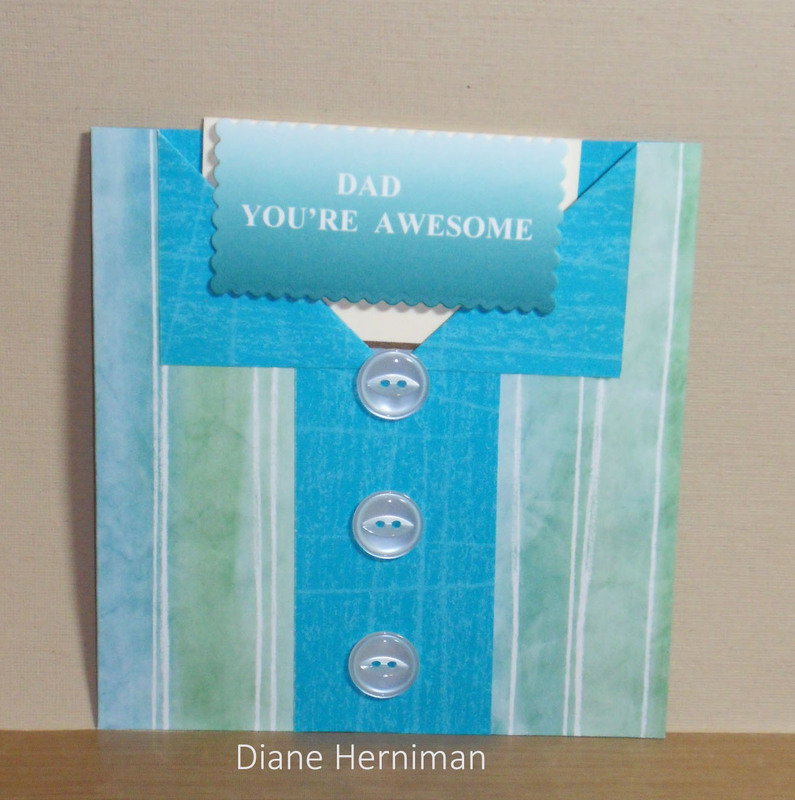 The whole center portion I CASED from Patricia Allison, I found her card here on Pinterest. 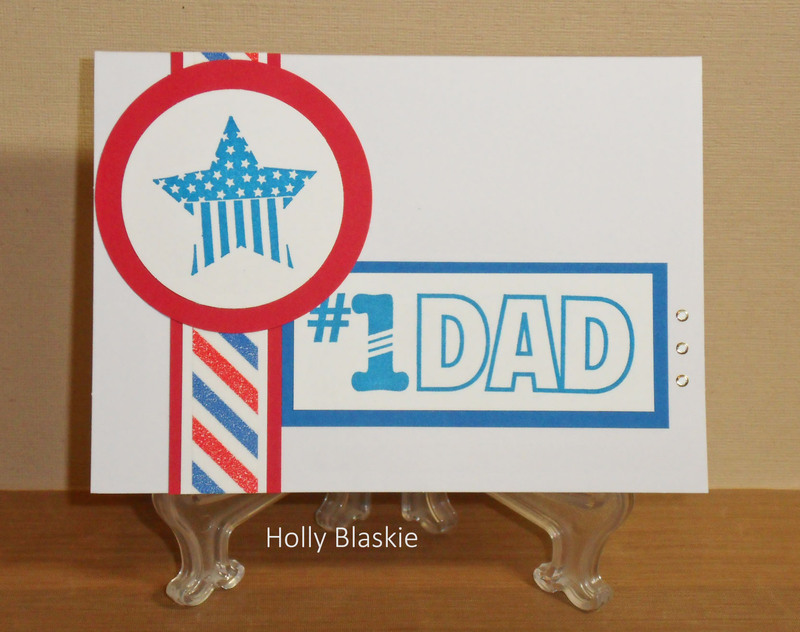 I believe you need an account to see it, but signing up is free:) Anyway….I cut the card base (supplied) in half and embossed the back (dark blue) with the stars embossing folder from Stampin’ Up! Because the inside of the card base is white, I was able to sand off some of the stars and get it to look white in places. 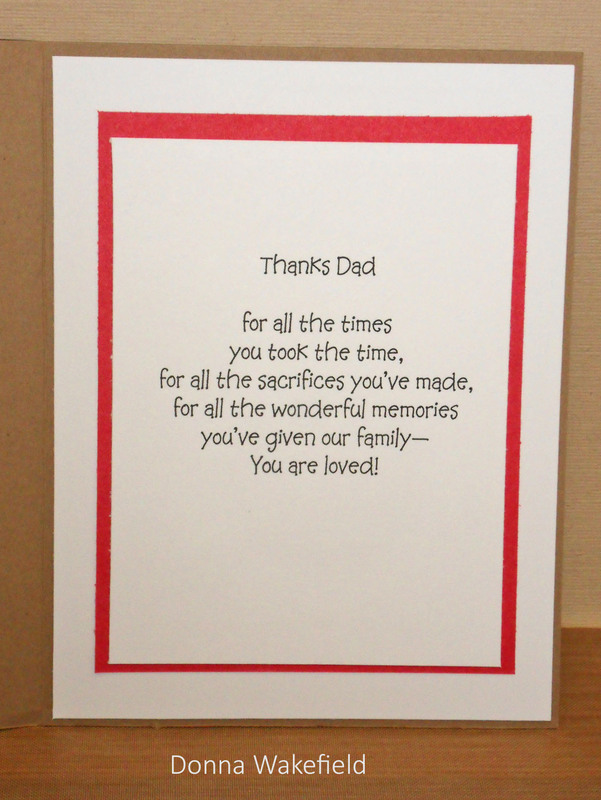 I then mounted the whole thing on a white card base. 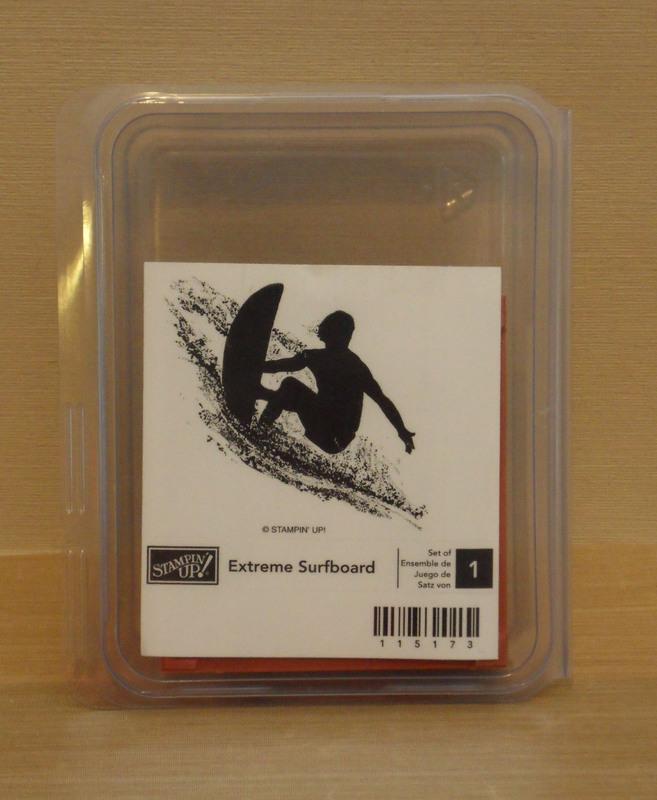 The central portion is almost all supplied in the kit! 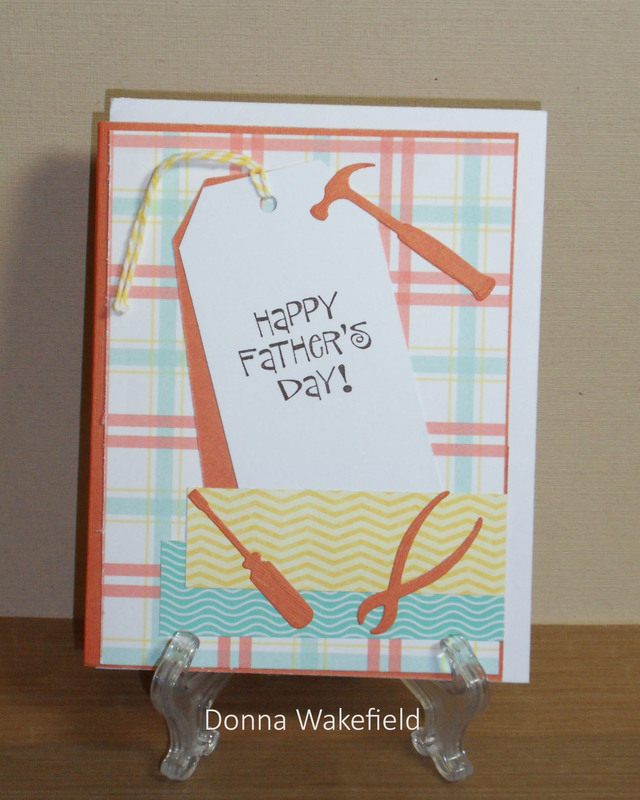 The striped paper is the front of the card base. 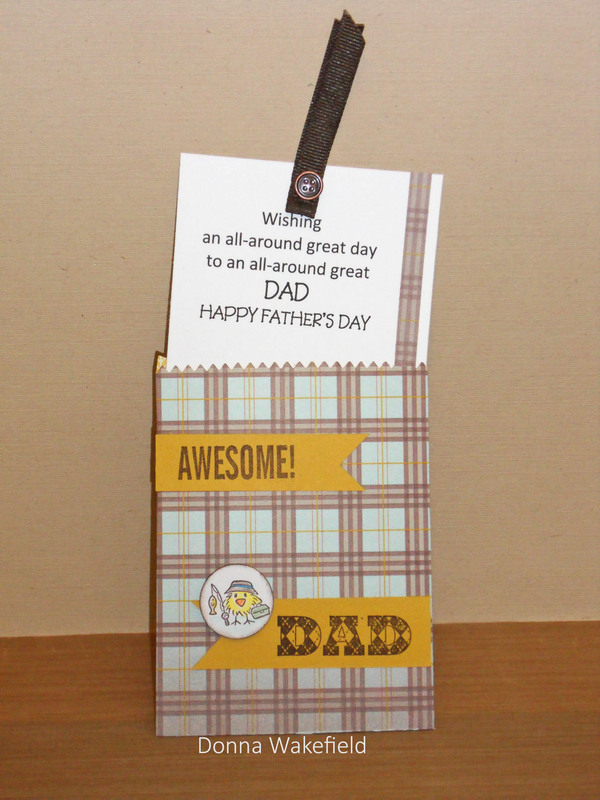 The blue spotted paper is from one of the supplied gift bags, it has the balloon shaped cutout already done for you. 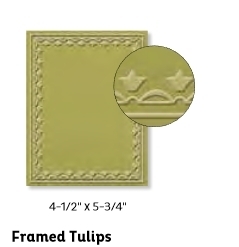 The yellow did come from a separate Designer Series Paper pack, but you could use the yellow tissue paper that’s supplied. 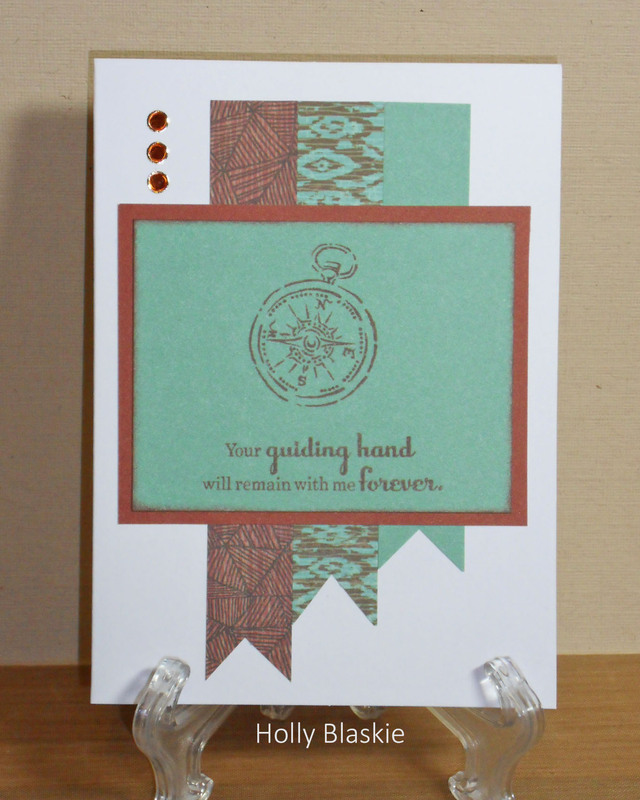 I cut the star out with a separate Stampin’ Up! punch, not included, also not included is the gem in the center of the star. 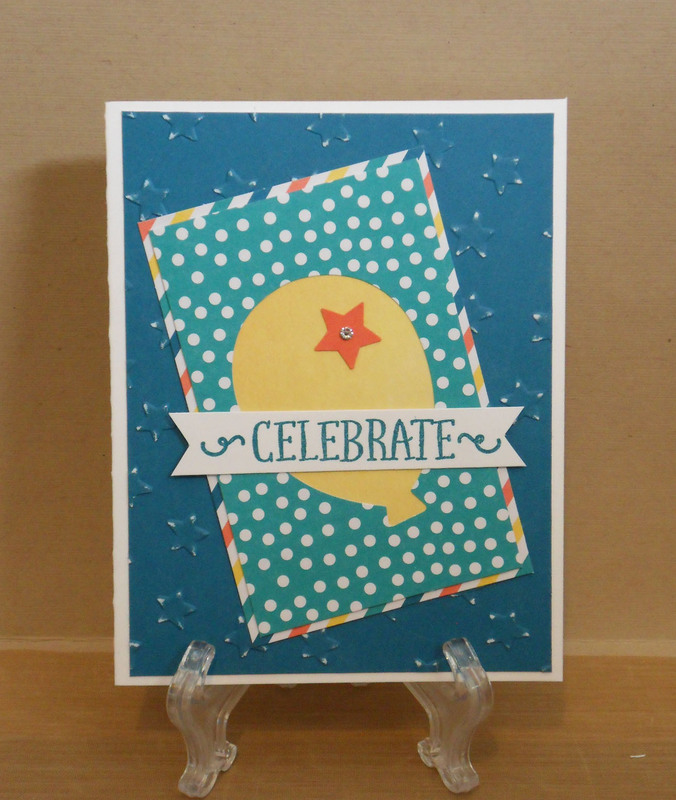 The Celebrate stamp is included, and I just stamped it on a white scrap and cut the ends with scissors. 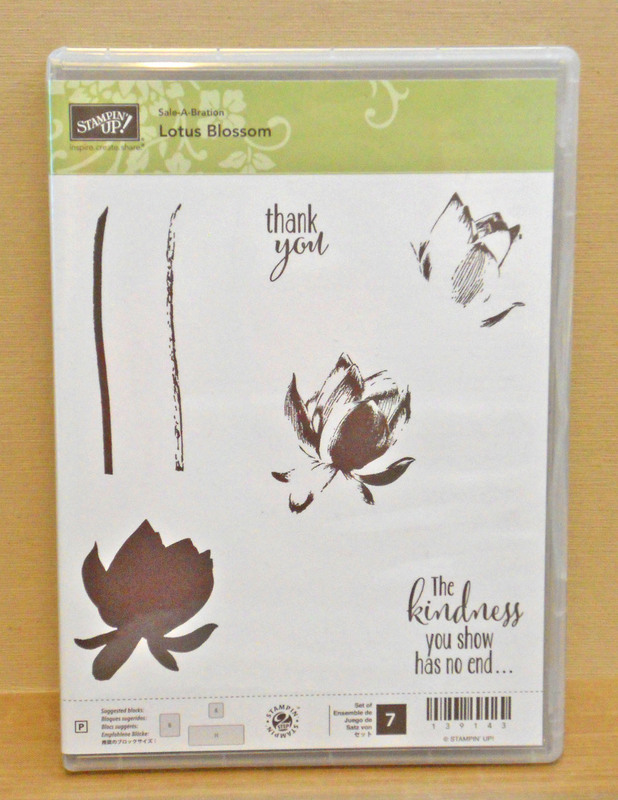 B-From Stampin’ Up, Tagtastic, cling mount stamp set. 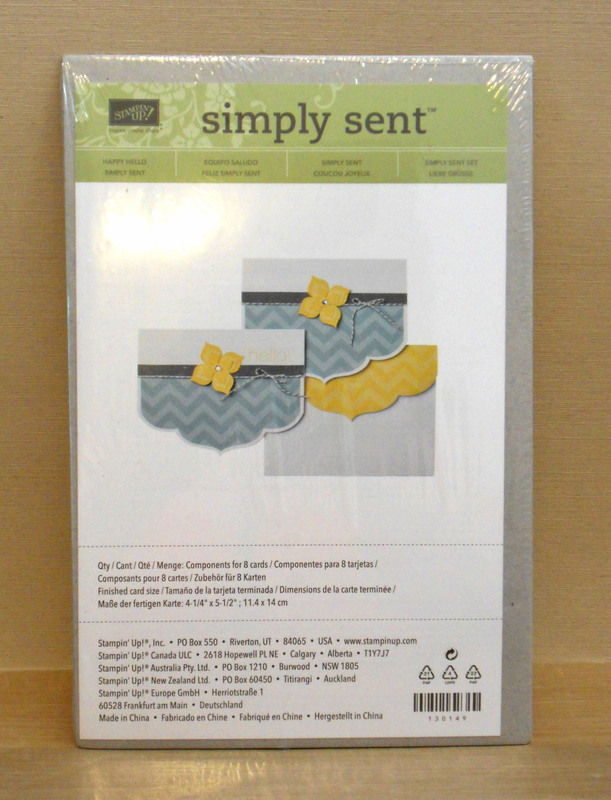 Samples were part of the catalog display, not included. 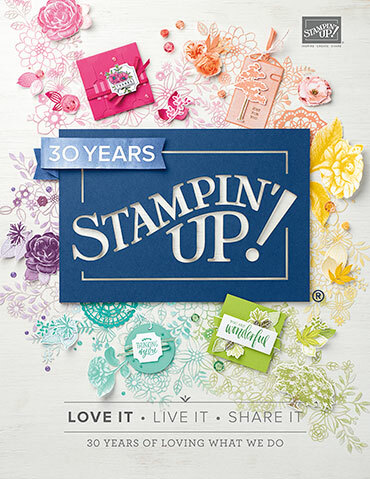 C-From Stampin’ Up, You Brighten My Day, cling mount stamp set. 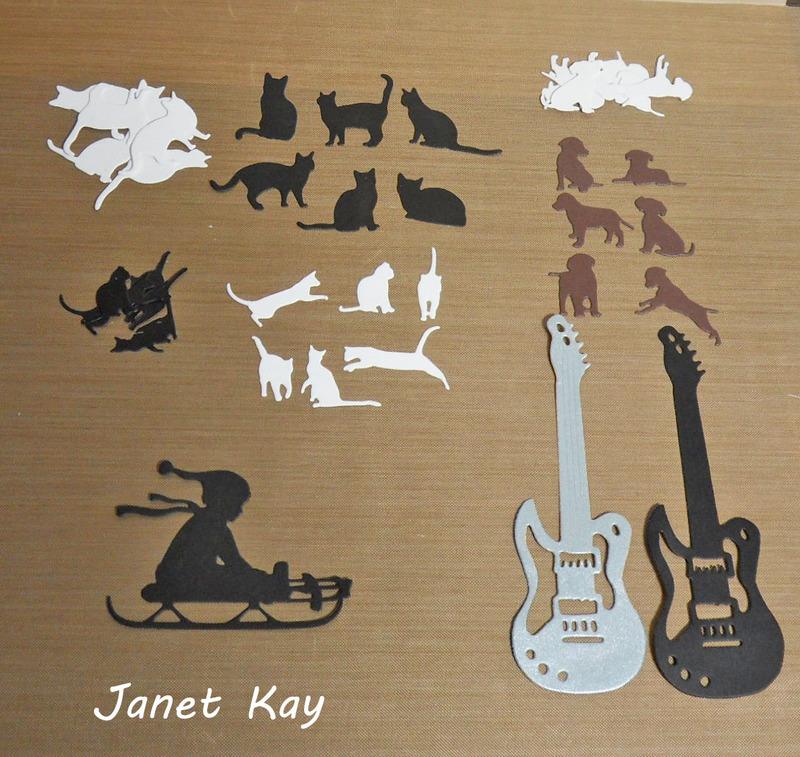 D- From me, die cut outs. 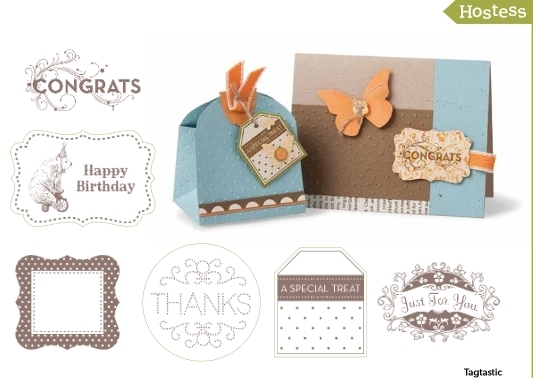 This is a kit from Stampin’ Up! like the Paper Pumpkin, only simpler. 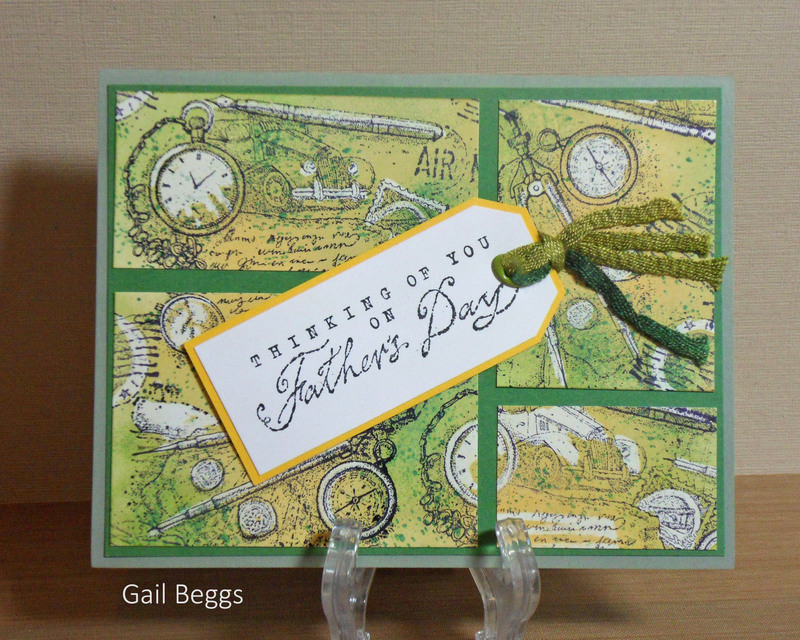 There are no stamps or ink, just card bases, embellishments and envelopes. This is a clear stamp set. 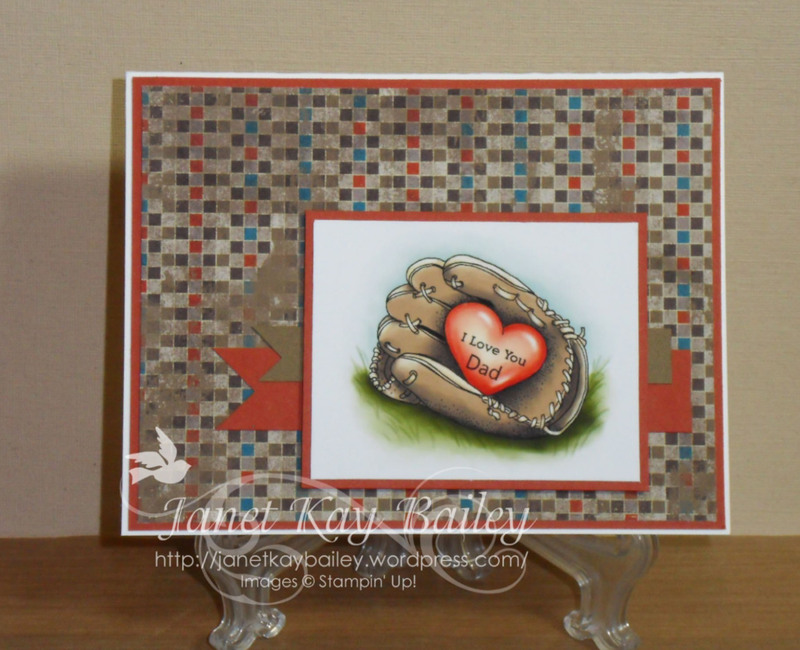 You need to have your own acrylic stamp blocks. 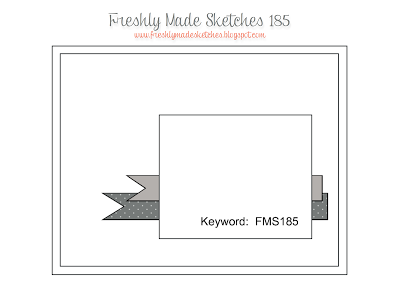 Filed under Blog Candy, Embossing folders, Kids, Paper Pumpkin, Send a smile 4 kids, Stampin' Up! 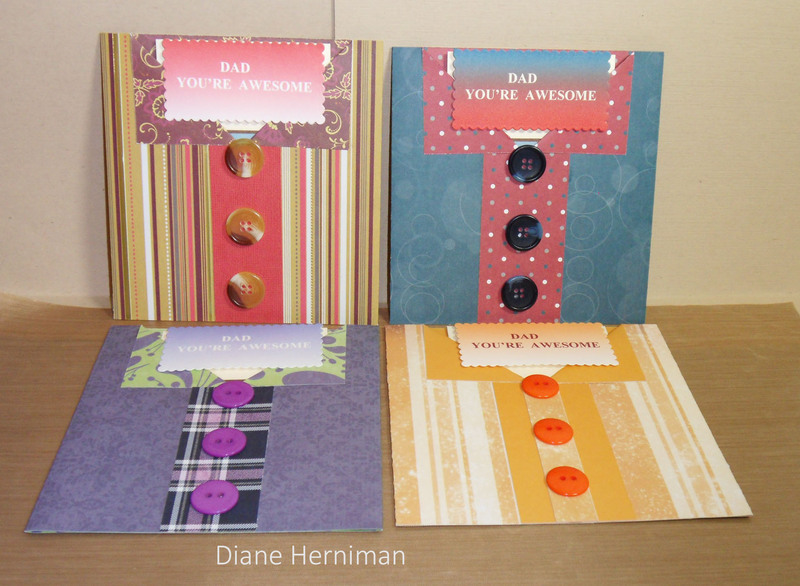 Tagged as Blog Candy, Card Making, Paper Pumpkin, Send a Smile 4 Kids, Stampin' Up! 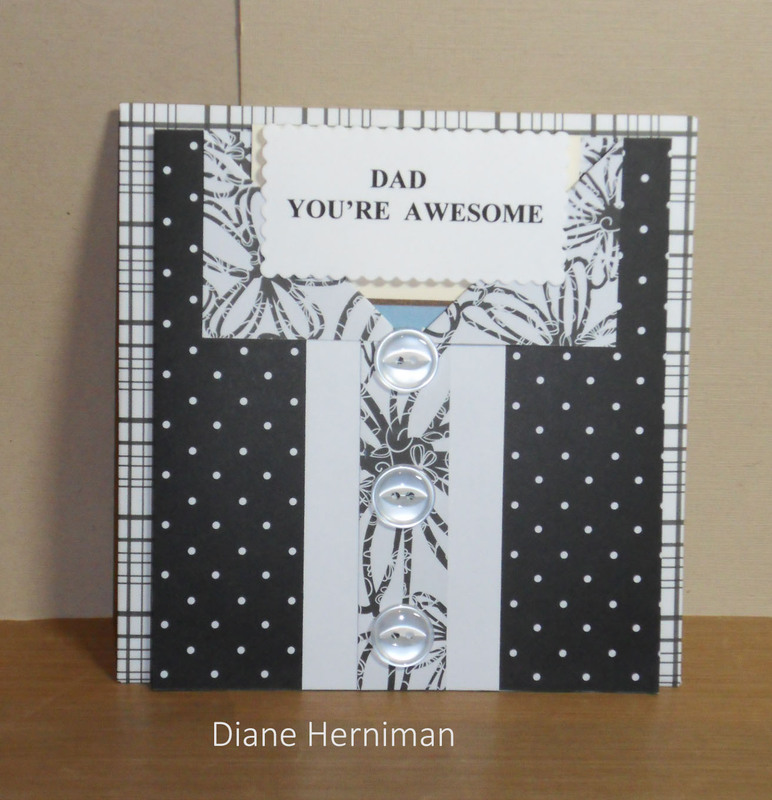 Next, I have a new card to enter into the challenge over at Merry Monday #159. 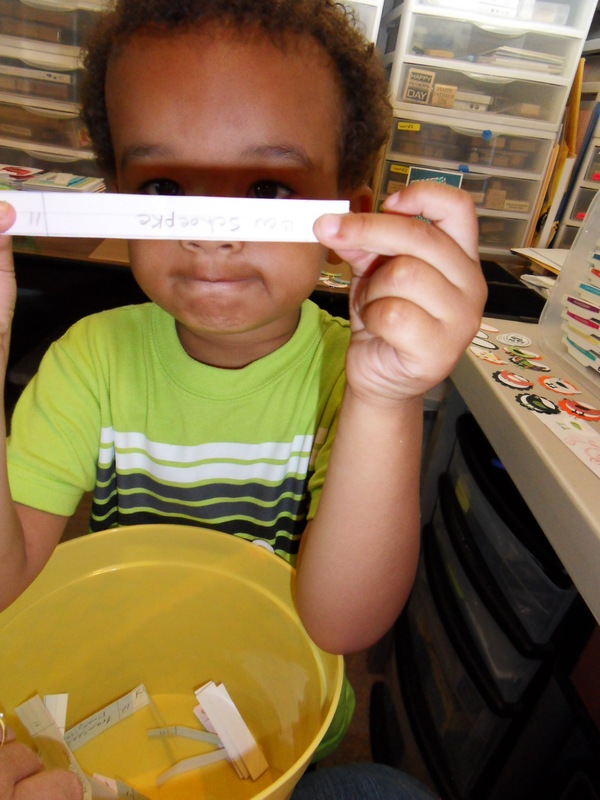 “Remember…have fun creating a Christmas card using “non-evergreen tree(s)” Have fun! 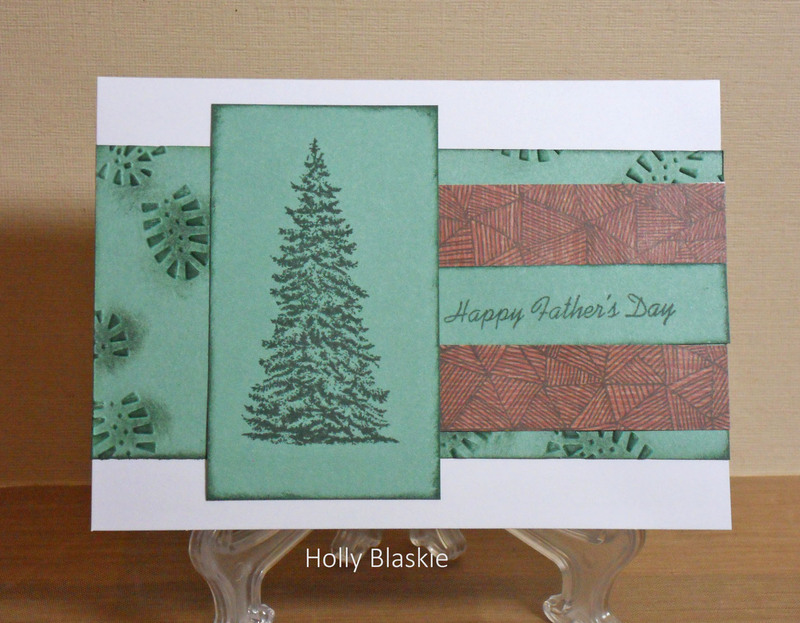 I’m assuming these are non-evergreen trees, at least I embossed them in Gold;) I used half of a stamp for the Stampin’ Up! Christmas set, The Newborn King. I love this set! 🙂 I can tell you how to get it at a discounted price! If you’re interested, just let me know:) I know it looks easy, but it actually took me almost a dozen tries to get it so I was satisfied! 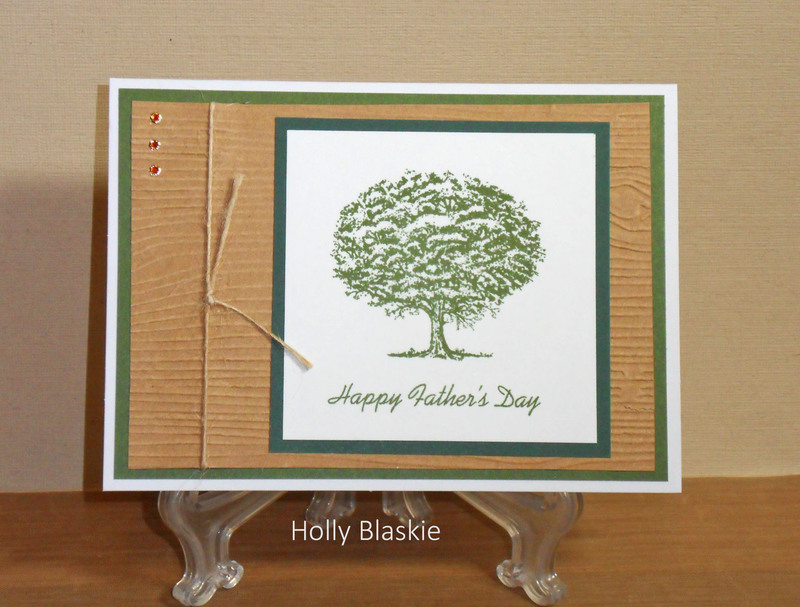 First I stamped and embossed the entire stamp, which has more trees where the Glory is. 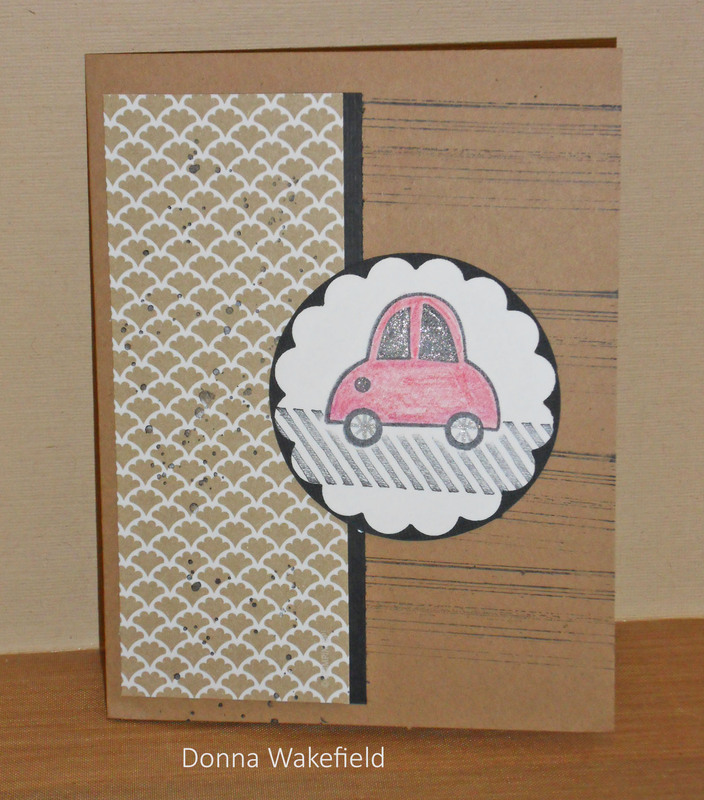 I had trouble getting the embossing powder to be just right😦 Then, I decided to go a whole different way! This card actually has three different stamps from the set of 4. 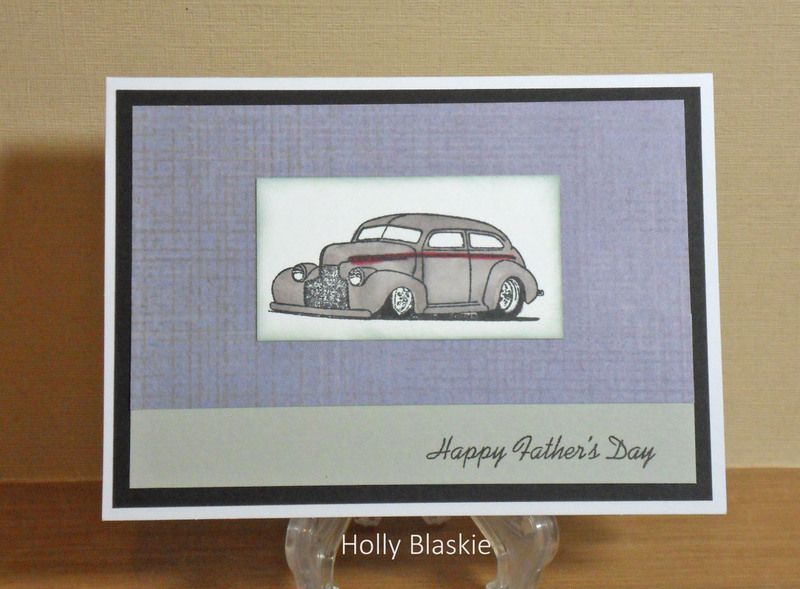 I tried just stamping the left side, but I kept getting residue from the right side:( You can tell I’ve never done this already;) lol Then I took one of the images I didn’t like and cut it in half to make a template. 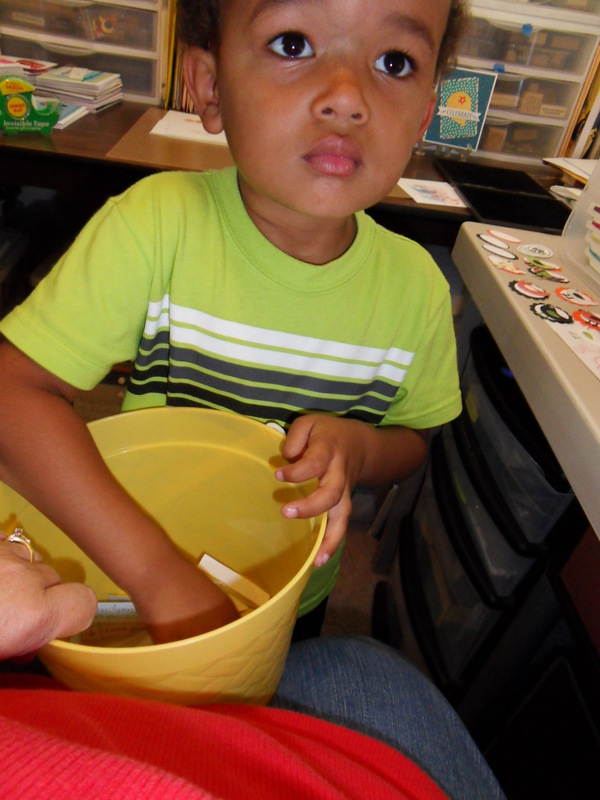 Ok, it was late and I really haven’t done this before…..really, my first time! How cool is this one?! 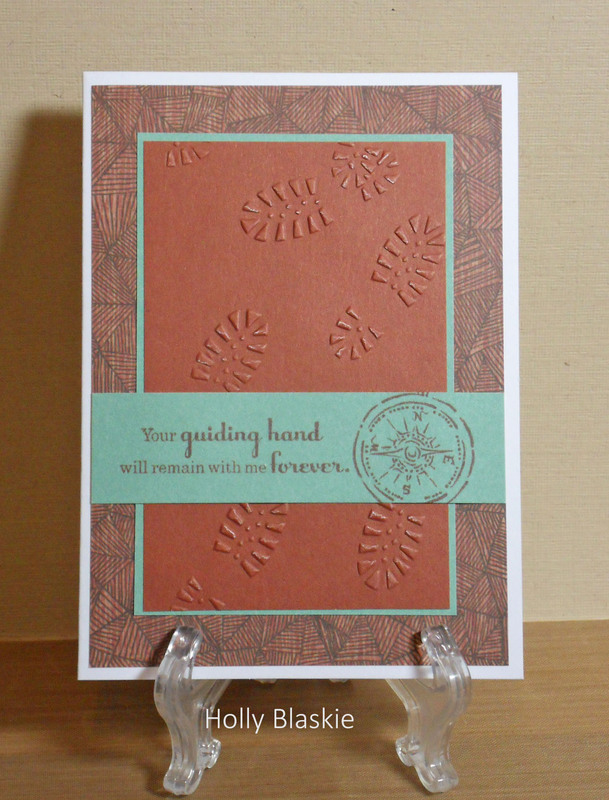 I really like this one, besides being plaid, it has a wonderful verse inside! 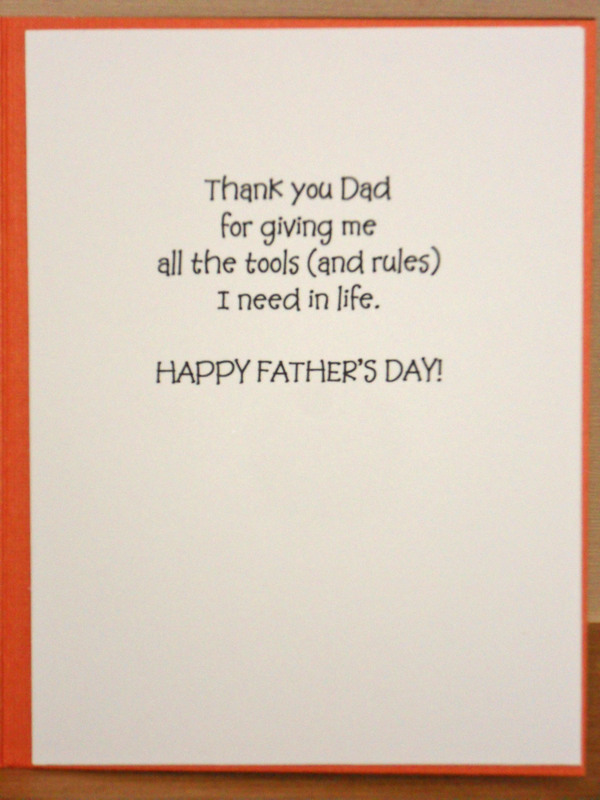 🙂 Now, it’s one of our rules at SAS4Kids, that the insides be blank for personal messages. However, for my hospital, I called ahead and made sure these cards were okay to send with the messages;) Donna has also sent one more with a message. 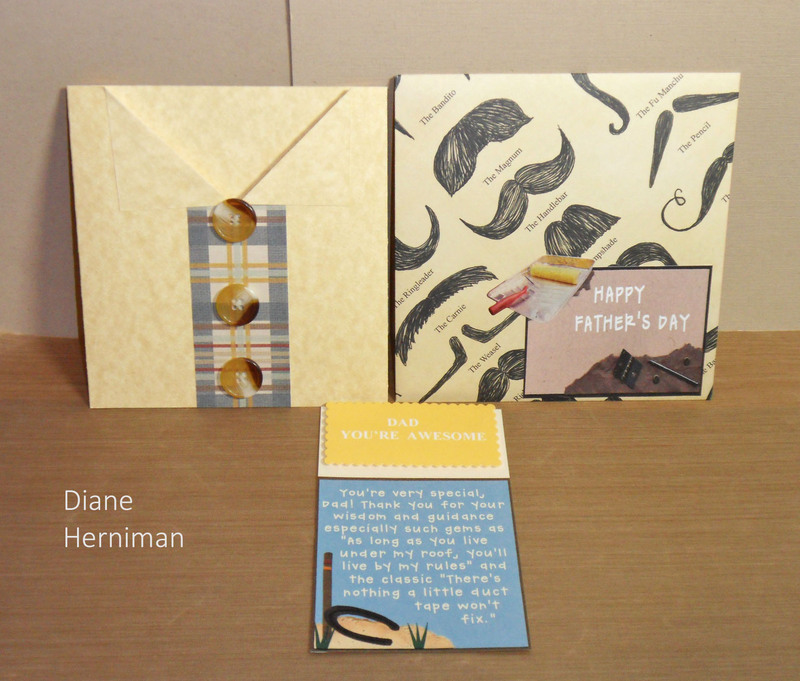 I have one more set of cards today, sent in by Jill Blasche of Texas. Anyway, the other paper is from the same set, so it uses the same colors. I picked the colors for the first paper, so the Soft Suede, looks a little lost:( I was going to use Not Quite Navy, but it’s hiding somewhere, because it’s retired:( I was going to find it before I used this paper. It actually does look better in hand:) That’s a long story, sorry:( The colors I used are Soft Suede and Cajun Craze. 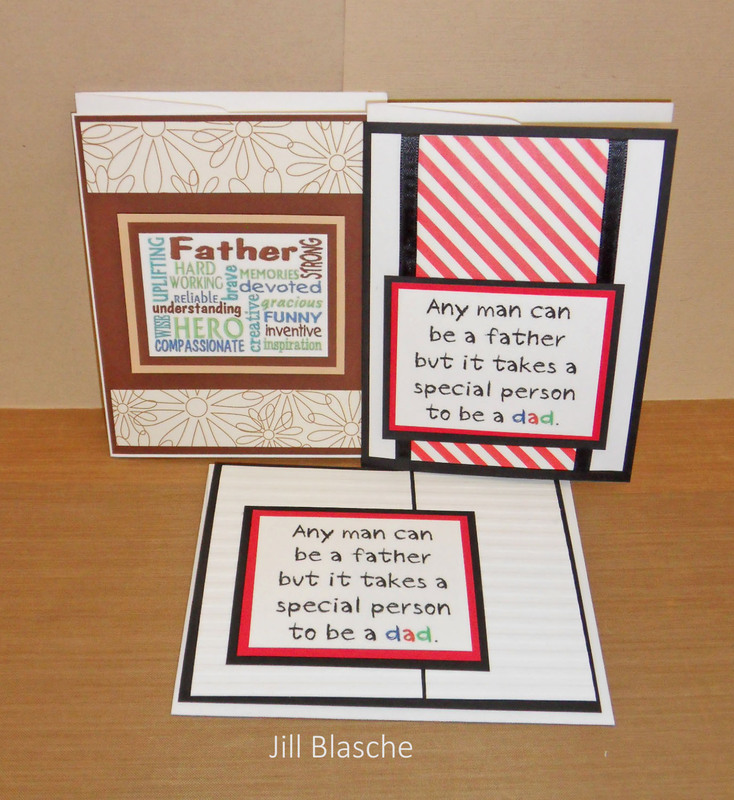 Filed under Blog Candy, Boys-men, Challenges, Father's Day, Fred She Said, Freshly Made, Kids, Send a smile 4 kids, Stampin' Up! Happy Birthday to me Blog Candy! 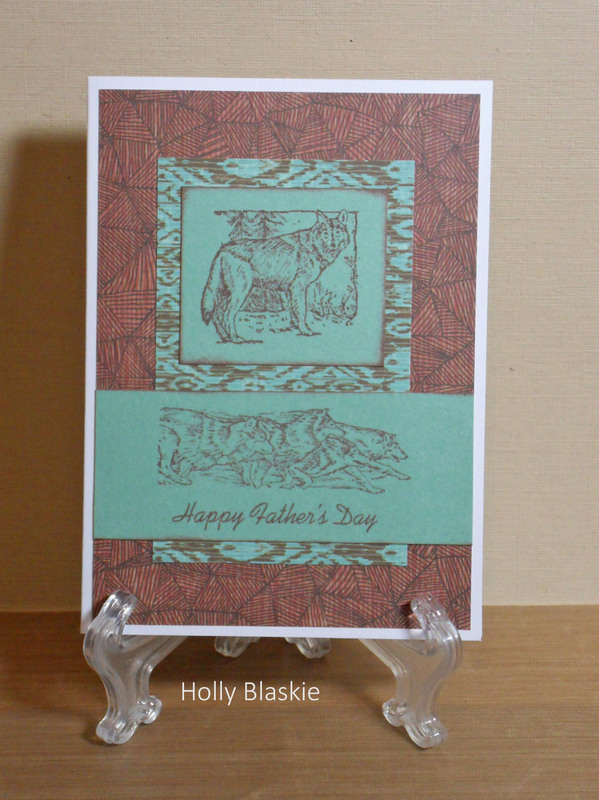 I wanted to show you a card I made for Merry Monday #157:) Their challenge this week is to use embossing. It looks easy, right? Well, it was pretty easy, but I used a bunch of supplies and it had lots of steps, I was surprised, but I love it! 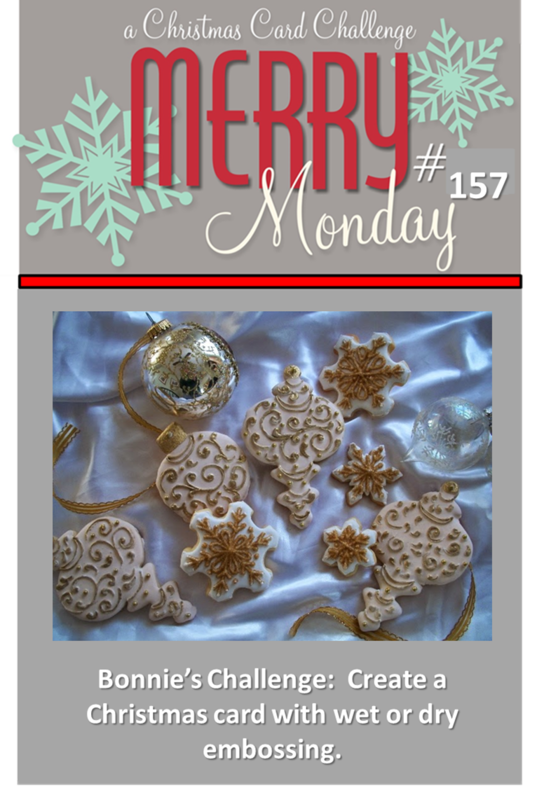 🙂 I used an embossing folder by Darice, I don’t know the name, but it’s snowflakes;) I used all paper by Stampin’ Up! 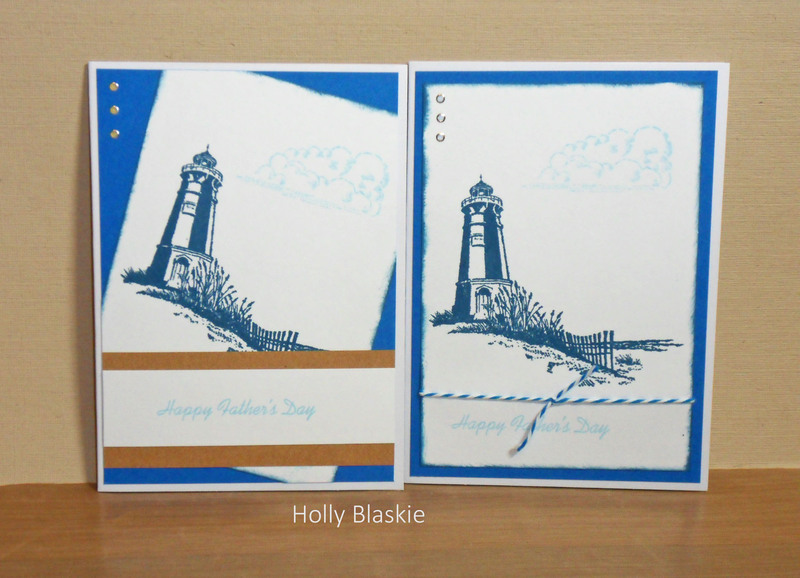 The background and highlight paper is Soft Sky. The Designer Series Paper is called All Is Calm, it’s from last Christmas, but I love it so much, I bought a bunch of it! 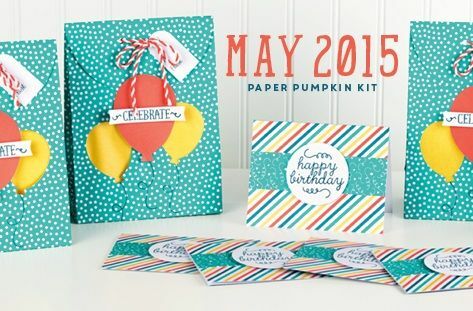 It’s on sale right now at Stampin’ Up! I used the DSP for the left side column and the scarf. The hat is just Pear Pizzazz, cut with a die from Lawn Fawn. The whole snowman set if from Lawn Fawn, it’s called Making Frosty Friends. 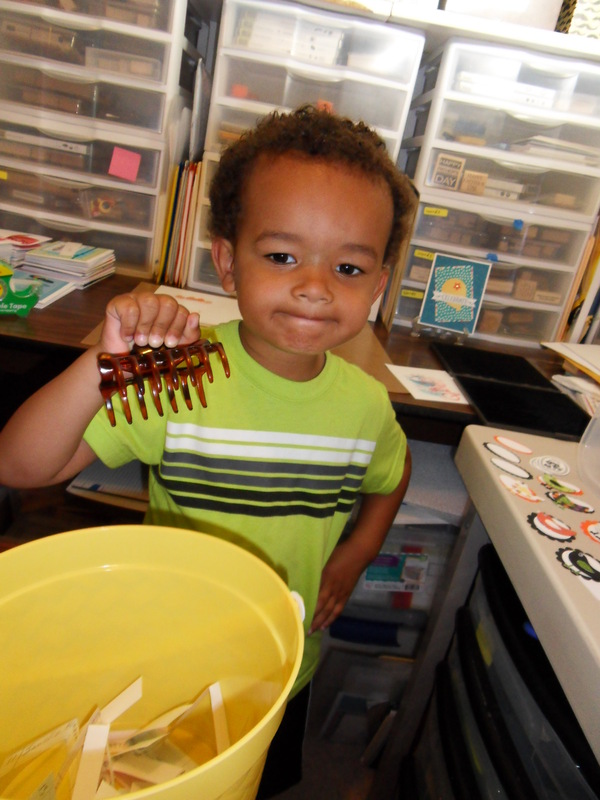 The hat is cut with a die, I drew the line on the hat with a Stampin’ Up! Basic Black marker. I cut some white to match the hat and made the puffy hat ball, and highlighted it with Stampin’ Up! Dazzling Details. I don’t think you can see the sparkle very well here:( The scarf on the bird is a SU marker in Pear Pizzazz.